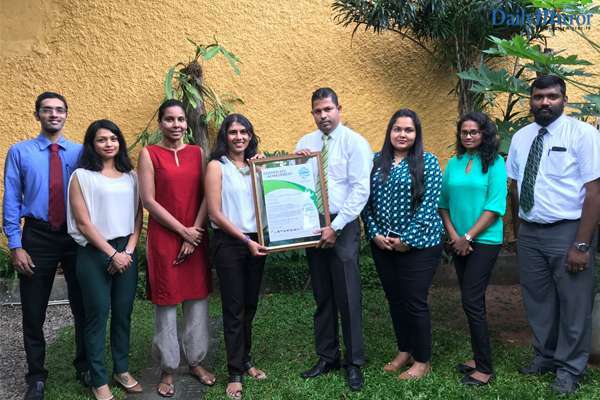 Commemorating their 20-year anniversary, Exterminators (Pvt) Limited, Asia’s first and only CarbonNeutral®Pest ManagementCompany renewed their commitment to sustainability for a 5th consecutive year. For 20 years,The Exterminators has been setting benchmarks within their industry and the SME sector in Sri Lanka and the region by winning many local and international accolades for business, brand, industrial excellence and entrepreneurship. The company is the first Pest Management Company in Sri Lanka to have received ISO 9001:2015, ISO 14001:2015andOHSAS 18001:2007 certifications. The ‘Smart Missile’ invented by The Exterminators also won the title of world’s firsttermite station to be certified CarbonNeutral®. The CarbonNeutral® certification was awarded by The Sustainable Future Group (SFG), regional verification and certification partner of Natural Capital Partners of the UK – the developer of The CarbonNeutral Protocol. The certification process involved an extensive analysis of the client’sGreenhouse Gas (GHG) emissions andsubsequent investmentin a local Renewable EnergyProjectin return for registered Carbon Credits to offset their organizational Carbon Footprint.The Exterminatorshad partnered withThe Carbon Consulting Company (CCC) – South Asia’s leading provider of integrated sustainability solutions–to accuratelymeasure, manage and reduce their GHG emissions annually.